Lock in a great price for Esquinas Rainforest Lodge – rated 8.4 by recent guests! All was almost magically beautifull. Staff like family, owner Michael inspirational. 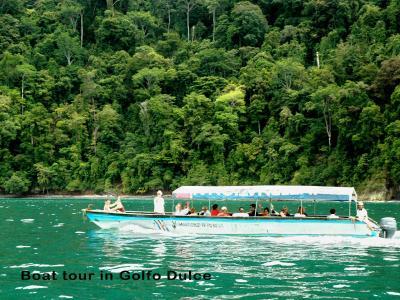 Ideal spot for nature lowers on the edge of the rain forest, great trails, nice guided tours. 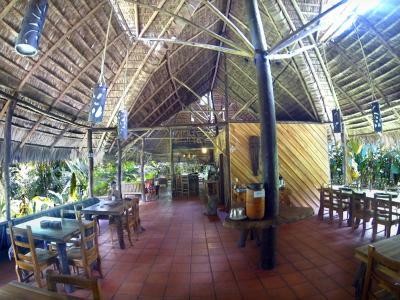 Komfortable Urwaldlodge mit sehr freundlichem, fachkundigen Personal am Rande des Piedras Blancas NP. Sehr gutes Frühstück und abwechslungsreiches Mittags- und Abendessen. Tolle Lage inmitten tropischer Natur, sehr schöne und topp gepflegte Anlage, freundliches und sehr kompetentes Personal, erstklassiger Service. Sehr schöne Lage im grünen. Pool sauber. Ausflug zu den Mangroven war super. Haben viele Tiere gesehen. 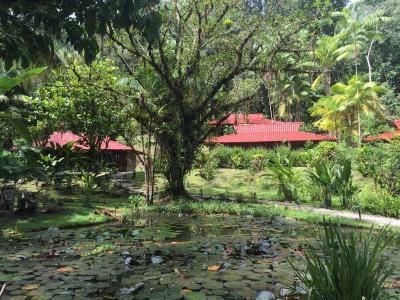 Schöne Lodge mitten im Regenwald, gutes Essen, Naturpool, interessante Abendwanderung! Sehr nettes Personal. Touren waren gut organisiert. 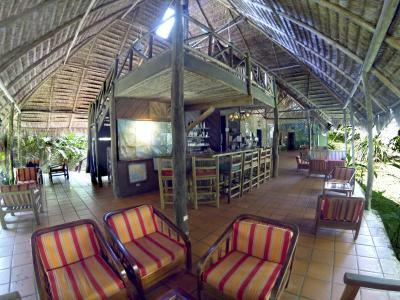 Lage der Lodge war sehr schön, in einer tollen Umgebung. Sehr schöne Ökolodge mitten im Dschungel, schöne Touren die man buchen kann. Ein wunderbares Naturerlebnis, man wird durch ein unglaubliches Vogelkonzert in der Früh geweckt. 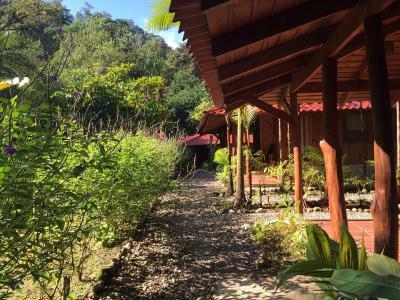 Featuring a natural swimming pool and an extensive tropical garden, this eco-lodge is set in the rainforest just 1.2 mi from La Gamba Village, on the edge of Piedras Blancas National Park. 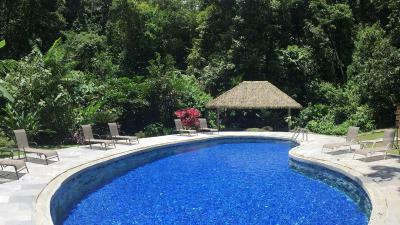 The property is 25 minutes’ drive from Golfito Village and 5 mi from the Golfito Local Airport. 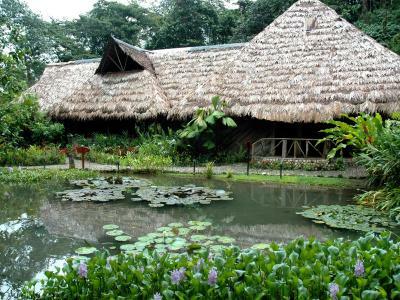 San José is a 45-minute flight or around a 6-hour drive away. 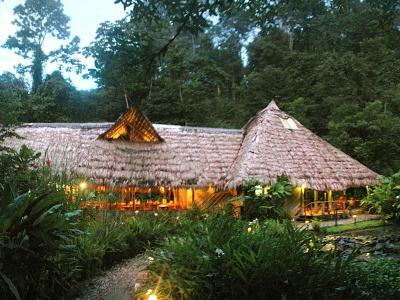 When would you like to stay at Esquinas Rainforest Lodge? 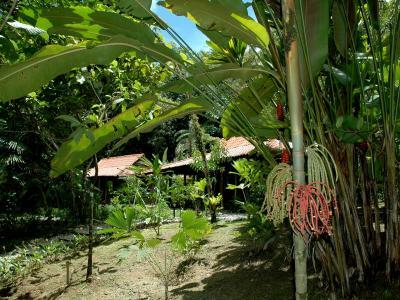 Furnished in wood, this double room offers a fan, desk, seating area, a wardrobe and a private bathroom. All meals are included in the price. Furnished in wood, this Garden Room offers a fan, desk, seating area, a wardrobe and a private bathroom. The kitchen has dining area, kitchenware, stove and a fridge. 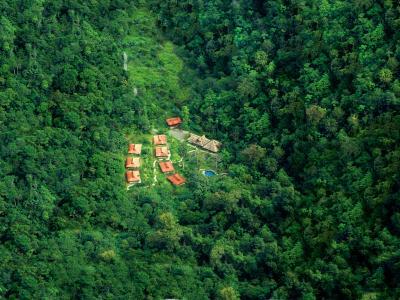 Our 35-acre private reserve, surrounded by 2500 acres of untouched rainforest, attracts over 200 species of birds, monkeys, caimans and even ocelots. 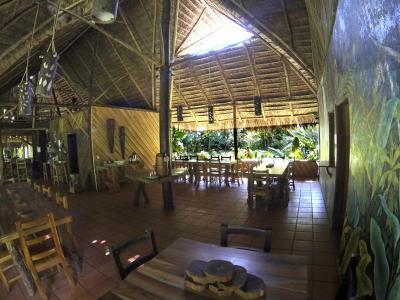 Esquinas is the only lodge in Piedras Blancas NP that is accessible by car all year around. 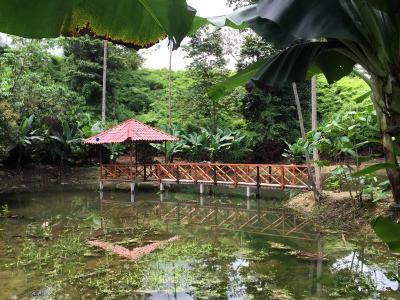 Although our trails are open to the public, virtually nobody except our guests use them. 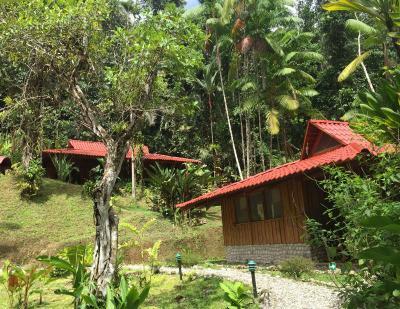 If you are looking for a great rainforest experience off the beaten track, Esquinas is the polace to go! 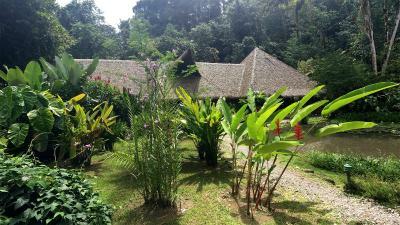 House Rules Esquinas Rainforest Lodge takes special requests – add in the next step! 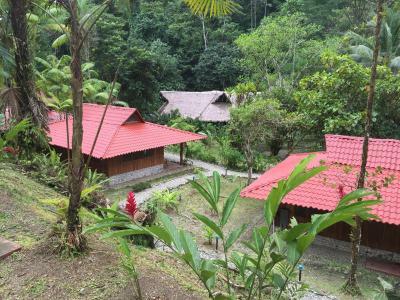 Children 7 and older are allowed at this lodge. 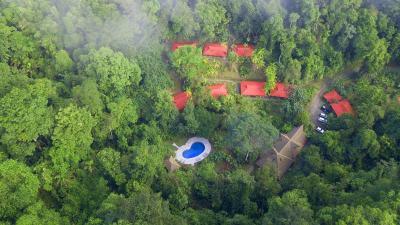 Esquinas Rainforest Lodge accepts these cards and reserves the right to temporarily hold an amount prior to arrival. The first night we were roomed in a place called "Villa". This place does not have anything to do with the rest of the acomodations (which are fine) and is not acceptable (uncomfortabel location, run down, utterly cramped, no hot water).Management was informed.